St. Patrick's Day is less than a fortnight away. Have you planned anything to do on this special green day? Perhaps some new green decorations at home would be nice. Or getting a new green clothing. Or being actually green inside out. You know, take less time in the shower, reuse/recycle things, unplug electronics from sockets when not used, or doing green gardening. In case you're still unsure what to do before and after St. Patty's day, read on to see our best suggestions with our GREEN ecofriendly items. Especially when you don't have a large garden space (or no garden space at all), this container garden could be a very good idea to decorate your house naturally green. 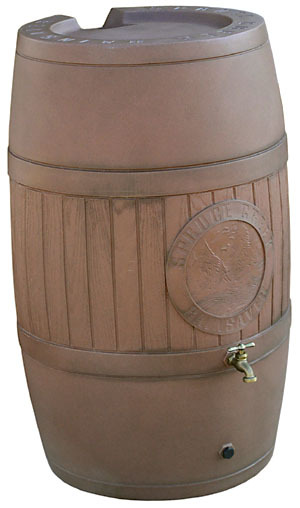 Choose some of our quality but affordable 5 gallon buckets, and start planting tomatoes or other greens in these pails! Natural green house is always more appealing than any artificial decorations. Save water and save money by harvesting rainwater. The rainy season is coming, so it's just about the right time to start harvesting rainwater if you haven't. Check out some of our rain barrels here or build it yourself from scratch with this simple video tutorial. And since we are feeling festive for St. Patty, why not paint and decorate the rain barrels GREEN as well? See some samples here. Pinch hurts! So make sure you have something green to wear on St. Patrick's day. 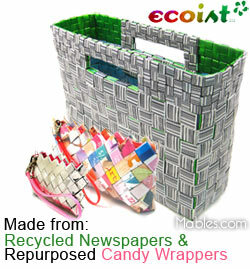 See some of these cool recycled wearable goodies. Stock a lot of beer, colcannon, corned beef and cabbage, or savory roast chicken and enjoy the fun companionship from your family and close friends. Nothing beat the warm, wonderful feelings being surrounded by the people you love the most. Spark the party by wearing a leprechaun costume and dance Irish style!